High Reliability： The absolute sensing guarantees accurate position detection even when the power is shut off, or when accidental noise occurs. Excellent Durability： Outstanding sensor durability is achieved by a non-contact position sensing design. Poor environment conditions also pose no problems, as the ABSOCODER is unaffected by vibration,shocks, temperature, oil and dust, etc. Flexibility： The ABSOCODER sensing system comprises a sensor, cable, and converter.. 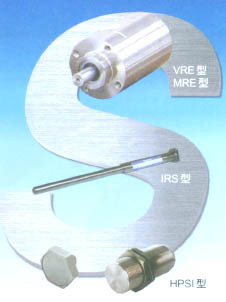 The appropriate sensor type (single-turn, multi-turn, linear) can be selected according to the machine in question. Moreover, the resolution, response speed, and data format, etc., can be changed for each of the sensor types by using different converter.